This is an article that I wanted to write for a long time. It is a bit long, maybe that’s why I took such a long time to write. However, this is our favorite Southern California tour. When we have friends and family visiting from outside of California we always take them on this tour because they get to see some of the best tourist sites in SoCal. Yeah, it’s true, this tour doesn’t include Disneyland, Universal Studios or Sea World, but those are attractions that anyone would know about. Our tour hits the best things to see in SoCal apart from amusement parks. 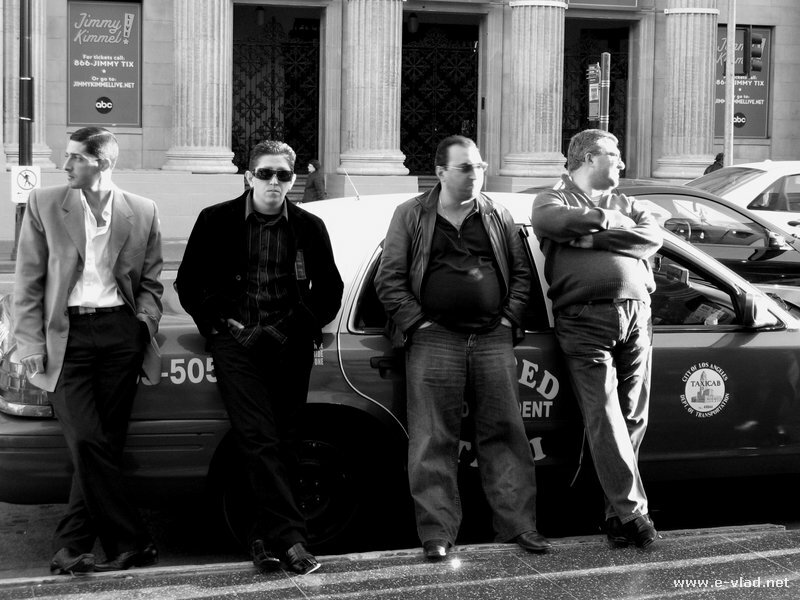 The best thing about this tour is that it can be done in one day…a full day that is. First stop: Santa Barbara for 4 hours. 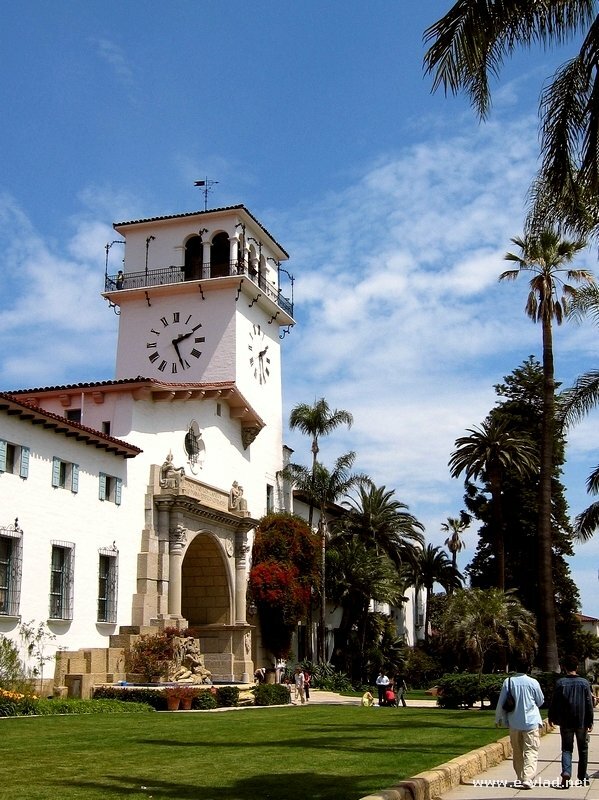 Whether you walk or take the tram, look or ask for the Santa Barbara Courthouse. Visit the interior gardens and then start visiting the interior. Make sure you take the elevator to the top floor and go to the tower. The view from the Courthouse tower is amazing: you get to see the ocean, the mountains and of course all of Santa Barbara. 2:00 pm.Drive south on the 101 freeway and go through Ventura and parts of Oxnard. When you get to Rice Avenue, exit the freeway and take a right. 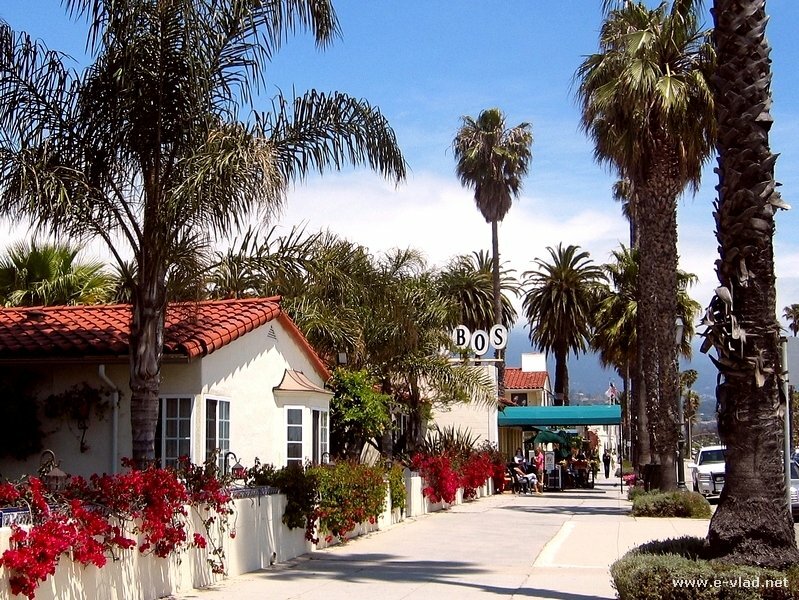 Go down on Rice Avenue until you hit Highway 1 PCH (Pacific Coast Highway). Take the 1 south towards Malibu. Watch for Mugu Rock which should come up in ten minutes of driving on Pacifc Coast Highway. It’s a big pointed rock on the right hand side of the highway. You can stop and admire the view. Don’t try to climb to the top because it will take you a while and you won’t have time to see the rest of the things. Continue driving south on Pacific Coast Highway for about 30 minutes until you reach Malibu. Pass Malibu Road and watch the road for a sign on the right hand side of the road that says Adamson House. It is right after crossing the Malibu Lagoon, or in other words right after going an a large bridge. For a more precise location visit the Adamson House website . Adamson House is a house built in the 1930s that has kept all the furniture and kitchen apliances from that time. I believe it is well worth the one hour tour. The views from the balcony of the house are amazing. Malibu Lagoon Park is located right in front and to the right of Adamson House. 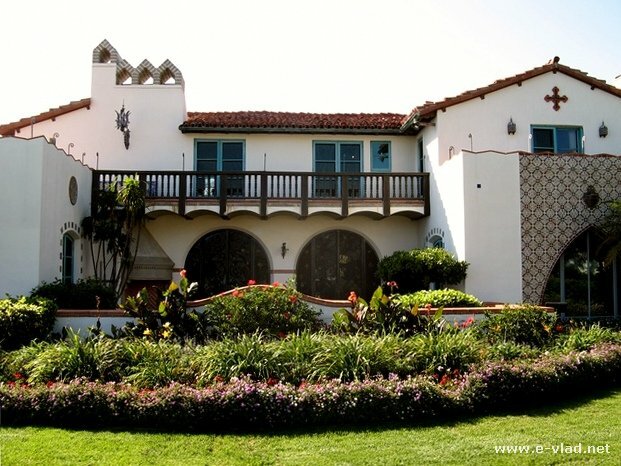 Just exith the Adamson House complex towards the Pacific Coast Highway and keep walking on the street until you find a way to get to the beach. Or get in your car and drive a few hundred feet and park on the side close to the Malibu Pier. Then you can walk on the beach back toward Adamson House. You will come into the Malibu Lagoon Park. It is full of birds and other marine life. Malibu Pier is again in walking distance from Malibu Lagoon Park so it’s right there for you to enjoy. 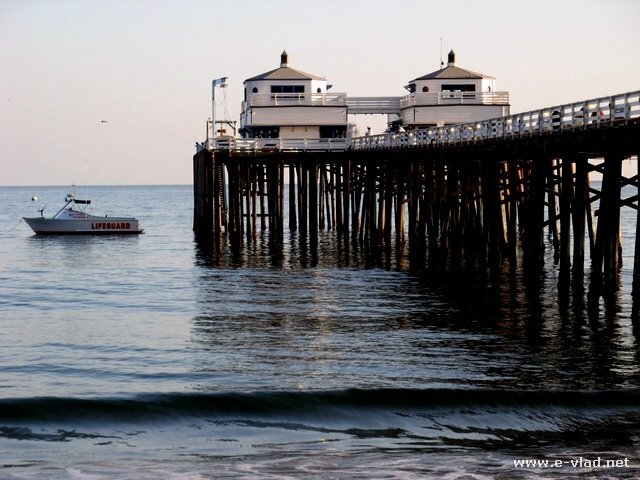 Malibu, California – A walk on the the Malibu Pier is very relaxing. 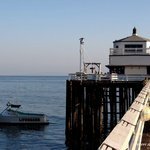 Read my favorite things to do in Malibu article for a lot more in-depth information about planning your visit to Malibu. Now it’s time to leave the beach behind and head for the place for the rich and famous: Beverly Hills. You would have to drive a bit but again, drive slowly and make sure you admire the scenery because there is a lot to see. 5:00 pm.Continue south on Pacific Coast Highway all the way down to Sunset Boulevard. 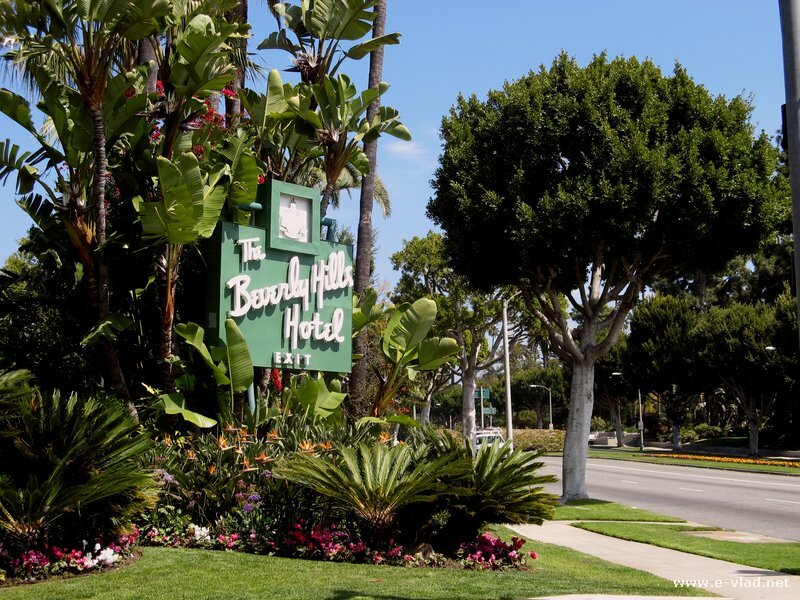 Take a left on Sunset Boulevard and follow it all the way to Beverly Hills. It will take you about 1 hour. You will pass right by UCLA and if you have time you can stop for a quick visit. You can also visit the Getty Center but that will take the whole day. Well, there are way too many things to see in Southern California. 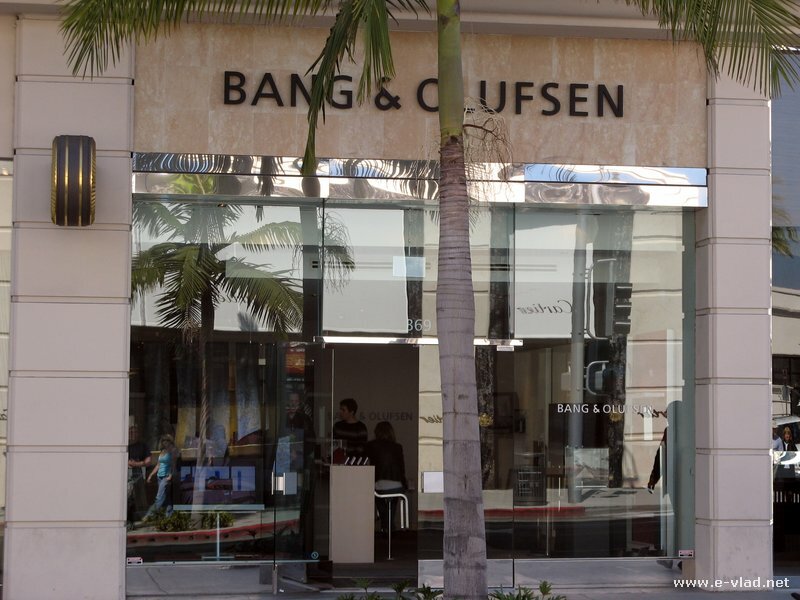 Ok, ok…let’s just stick with my plan, so keep driving on Sunset Boulevard until you reach the famous…drumroll please…Rodeo Drive. 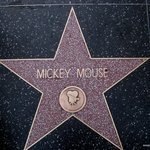 Now it’s time to go to Hollywood, where the stars are made! Well, that’s what people say. Don’t get your hopes up because you will be dissappointed. 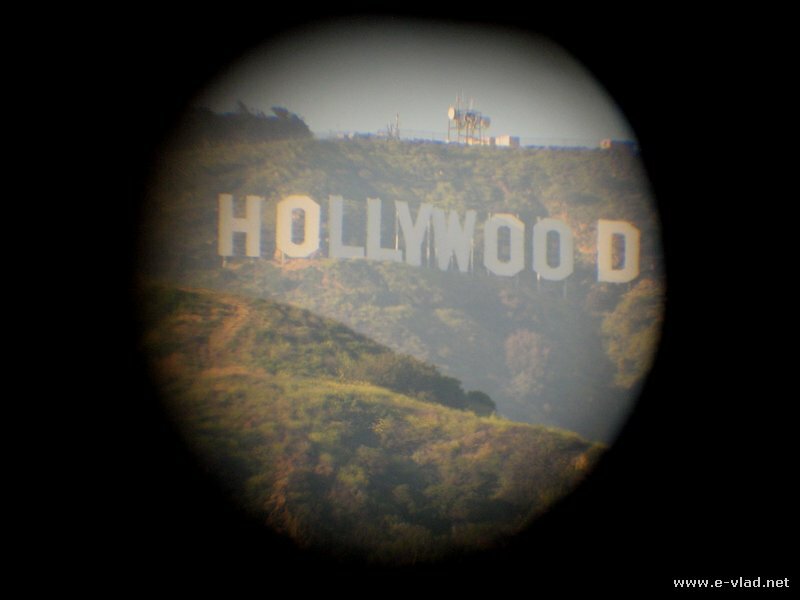 Hollywood is only glamorous in the movies and not in reality. Granted, the city has cleaned up the area very much and they brought the subway all the way there. Great improvements to be fair, but the area is far from what it’s made to look like in the movies and in the media. But it’s fun to see it anyway. I agree with you Tiggz, we love the Santa Barbara area especially and try to visit as often as we can. There are many excellent day trip potential in California, let alone Southern California. I’ve always had good experiences in Santa Barbara and surrounding areas wine tasting, beaching it and of course enjoying all the great food! Thank you for the recommendations Lauren. I’ll try the restaurants you mentioned next time I’m in Santa Barbara. In love with their breakfast burittos, my god so delicious! On a Saturday morning, this is all you need! Fresh and delicious. I come here every time I’m in town along with a few other places that I can’t pass up if I’m in the area. Sitting on the beach nomming on this burrito is straight paradise! Glad it’s super close to the hotel I am always at-the Sandman Inn (www.thesandmaninn.com). Cheap and the way to go when traveling in SB. Sambos is so good!! I love that place whenever I am in town visiting family!! That part of downtown/beach area is my favorite. Volleyball courts, restaurants and pools! How can you top that? And in perfect walking distance to downtown with countless shops and more restaurants. On Sundays right down the way there is blocks of art that local artist come showcase that is so wonderful to view. Santa Barbara is one of the most extraordinary beach towns I have ever visited. SO much culture and life, and so many fun things to do, it never gets old. I recently just returned from a trip and i had the best time just relaxing at the beach and my hotel, I loved it.